The Straz Center is looking to catch a wave on the downtown Tampa river walk as it is nearing completion. They are developing plans to exploit their riverfront property. The Straz Center wants to be the place to go, and not just to take in a show. 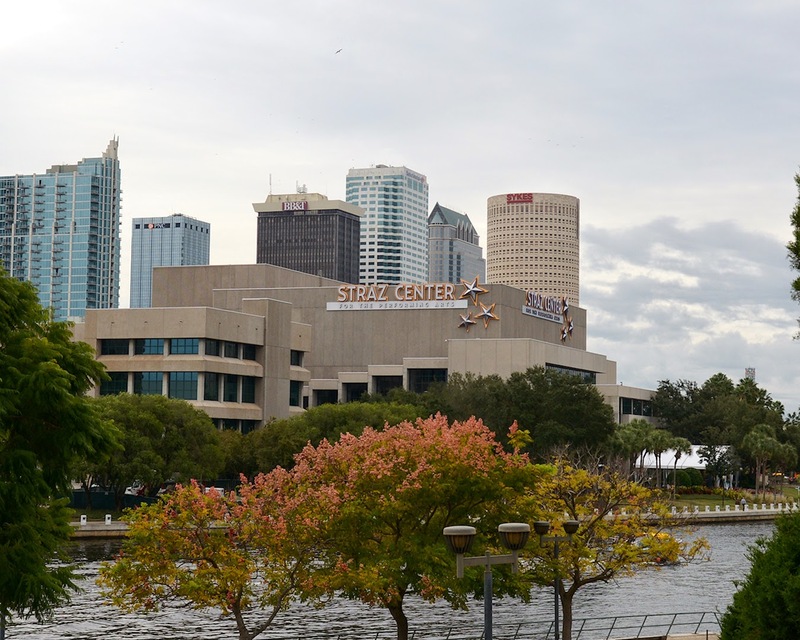 With the city’s Riverwalk expected to increase foot traffic past the venue, Straz Center officials on Monday unveiled plans to make the performing arts center a place for passersby to hang out or have a meal. Under the plan, the area between the venue and the Hillsborough River would be transformed with a new entry plaza, a riverfront restaurant and café with terrace seating, retail stores, an amphitheater and an events center for weddings and parties. A new underground parking garage with spaces for 100 cars is planned for the south side of the Straz. This makes sense from an overall business development strategy to make the Straz even more of a destination than it already is, as well as hedge the risk of losing diners at Maestro's to other waterfront venues. Dinner over looking the river before a show seems like a great idea to us. Or grabbing a refreshing beverage during a relaxing afternoon stroll on the riverwalk is good as well. Might as well take advantage of the 36 story residential tower that will be built on Straz sight. Establishments such as the recently opened and acclaimed Ulele are starting to ride that wave now. Additional infrastructure and maintenance projects for the 28 year old Straz will be addressed in the overall project. The new master plans are still being developed with a grant, but the full cost of the is not yet known. But the cost is expected to "be a lot of zeros", according to Judith Lisi, Straz president and CEO. The Straz will start a major fund raising campaign immediately to pay for the improvements. The master plan is expected to be complete by May and will include renderings of the new facilities. Lisi said that between 70 and 80 percent of the cost will likely come from the private sector but that the center also will look to get assistance from city, county and state funds. Yet the Straz Center still received over $800,000 from the City of Tampa last year. The Straz Center and its 9-acre site is owned by the City of Tampa and rented for a nominal cost to the Tampa Bay Performing Arts Center Inc. Last year, the city also paid roughly $547,000 for operating and capital costs for the center and $274,000 to insure the property. Mayor of (Downtown only) Tampa Bob Buckhorn was quoted in the Times. Buckhorn said the kind of expansion being envisioned "would largely have to be funded with a capital campaign that would be private funders and private dollars." Buckhorn also said he recognized that the plan is still being made, but that the city stands ready to expedite permitting once construction plans are ready. He did caution that "anything you would put in the river would be challenging," not only in terms of the permitting but because of what it could do to navigation on the river. If the U.S. Army Corps of Engineers has to get involved, he said, permitting could take years. Seems reasonable to expect private donors to lead the way for the Straz expansion. Wouldn't it be even more prudent for the Straz, after 28 years, to have a stable and reliable funding source that did not require $800,000 from the City of Tampa as it did for 2014? In their funding drive, would it be too much to ask the Straz board of directors to strive towards covering even more of their annual capital and operating expenses in addition to their planned expansion? After all "the popular center has a strong fundraising record, and we suspect it will have little trouble rallying support for its imaginative plan." Let's get that fundraising started.